From websites that aren't #FakeNews to free film screenings. (SPOT.ph) On September 21, the Philippines commemorates the 45th anniversary of one of the darkest days in our history—the declaration of Martial Law by dictator Ferdinand Marcos. It was a period of unrest as activists protested the military's utter disregard for human rights, men in uniform tortured and killed civilians, prices went up, and the Philippine economy took downturn. There were other national issues with consequences so great that their impact can still be felt in our lives today. 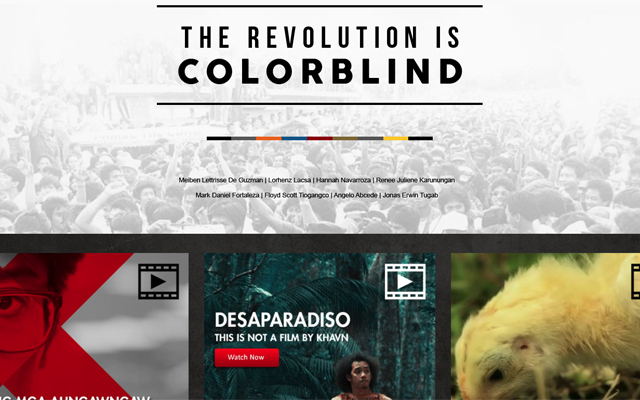 To distance ourselves from memes, fake news, and headlines that spread misinformation about this era, we round up websites to visit and shows to watch this month so that we can all stay informed, especially today. By the way, all film screenings listed here are free. 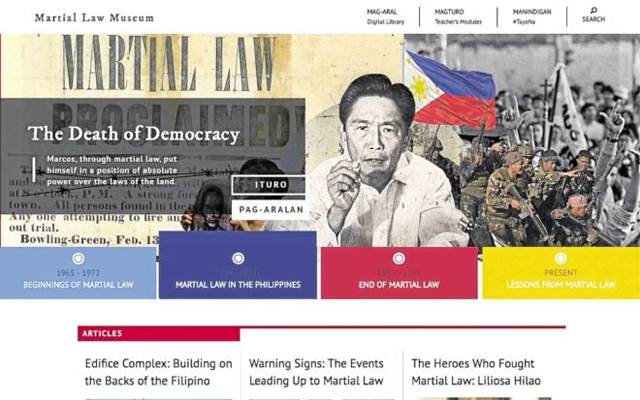 Ateneo de Manila University fights historical revisionism through an interactive website that collects and preserves real narratives from the Martial Law period under Marcos. It includes speeches made by the dictator, a list of things that the First Lady left in Malacañang after they were exiled, statistics and figures revealing the country's economic state during that period, and interviews with those who experienced atrocities carried out by the military. 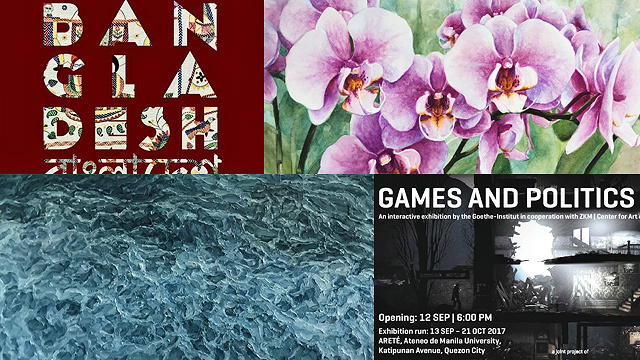 Launched in September 2016 by the art collective Dakila, MartialLaw.ph is described as a "platform to provoke critical reflection, inclusive learning, and vigilant remembrance through the multi-faceted lens of artistic expression." 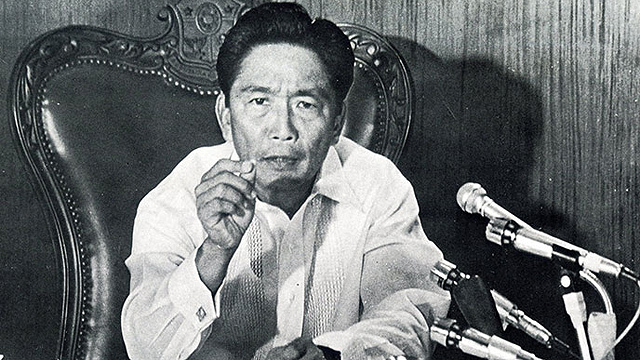 It contains facts and figures on the foreign debt incurred by the Philippines during the Marcos administration, the poverty rate, the peso-dollar exchange rate; video clips on the types of torture carried out during the Martial Law period; and related movies you can watch online for free such as Hector Barretto Calma's Ang mga Alingawngaw sa Panahon ng Pagpapasya. The late 1970s was a particularly depressing time for the people of Negros Occidental, once a superpower in the sugar industry—world sugar prices collapsed, half a million farm workers lost their livelihoods, and hundreds of thousands of children faced hunger and death. Seething with anger, 5,000 farmers, fishermen, students, urban poor, professionals, and members of the clergy from Northern Negros gathered at the center of Escalante City on September 20, 1985. This was in solidarity for a nationwide strike on the occasion of the 13th anniversary of the Martial Law declaration. Police and military dispersed their protest by raining bullets on them, killing 20 people and wounding many others. This reenactment is mounted by the Escalante community and Negros Theater League. Directed by Chito S. Roño and based on the Palanca-winning novel by Lualhati Bautista, Dekada '70 revolves around the story of the middle-class Bartolome family amid the tumultuous Martial Law period. Jules (Piolo Pascual), the eldest son of Amanda (Vilma Santos) and Julian (Christopher De Leon), turns to activism in this time of political unrest. In Mike De Leon's Sister Stella L., Vilma Santos plays the role of a nun who gets involved in labor strikes. Her journalist friend Nick Fajardo (Jay Ilagan) and union leader Dencio (Tony Santos) are later tortured and killed. Filmmakers Sari Dalena and Keith Sicat join forces to create a documentary seven years in the making. 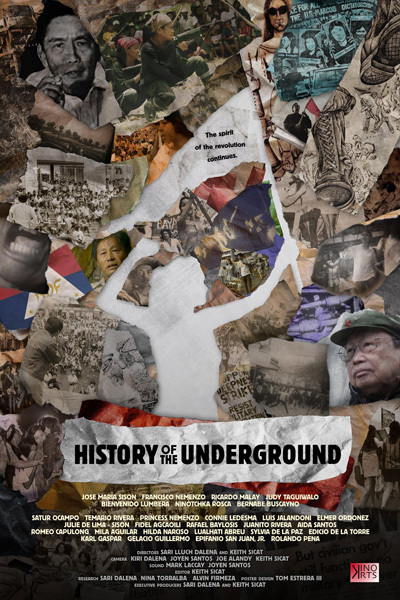 The film aims to impart a deeper understanding of the life and times of activists and intellectuals prior to and during Marcos' Martial Law. Interviewees include Joma Sison, Judy Taguiwalo, National Artist for Literature Bienvenido Lumbera, Aida F. Santos, and others who survived this dark period in Philippine history. Indigo Child, based on Rody Vera's play of the same title, follows Felisa, a rebel caught, tortured, and raped by the military during the turn of the millennium. Her son, Jerome, now 20, has been taking care of her since his teens, after she is diagnosed as bipolar due to multiple traumas. First aired on GMA on September 17, Alaala tells the life of Bonifacio Ilagan (Alden Richards), an award-winning screenwriter. A short film written by Ilagan himself is combined with interviews with personalities who experienced the atrocities of the Martial Law period firsthand. Gina Alajar, Bianca Umali, and Rocco Nacino join in recreating that time in Philippine history through this film within a documentary. 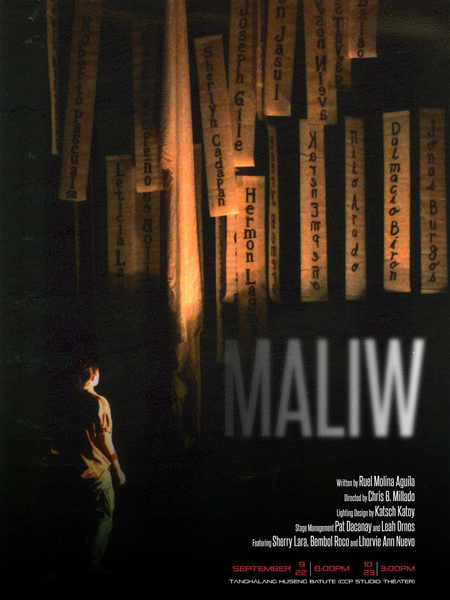 September 22, 8 p.m.; September 23, 3 p.m.
Reuel Molina Aguila's Maliw looks at how a family deals with losing their eldest daughter—not by death, but through what they call forced disappearances during the Martial Law period. The Marcos regime registered the highest number of "desaparecidos," with 878 documented victims from 1971 to 1986. 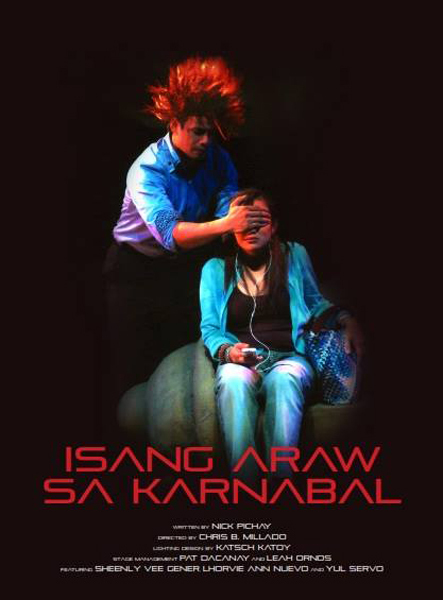 Tickets for Maliw and Isang Araw Sa Karnabal (Set B), priced at P300, are available through Ticketworld. Nick Pichay’s one-act play is a funny but poignant dramatization of the life of two former activists who meet again after a long time. They share the same experience of having family members who are "desaparecidos." Tickets for Maliw and Isang Araw Sa Karnabal (Set B), priced at P300, are available through Ticketworld. 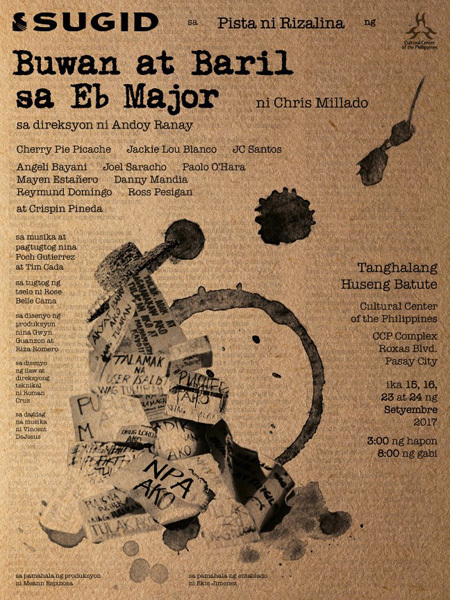 September 23, 8 p.m.; September 24, 3 p.m.
Set in the height of the anti-dictatorship struggle, Chris Millado's Buwan at Baril sa Eb Major is a vignette featuring a variety of characters. There's a wife retrieving the body of her slain rebel husband, a socialite preparing to join a rally, a member of an indigenous tribe ravaged by military forces, a farmer who loses his land, and a student-activist interrogated by a police officer. Tickets, priced at P300, are available through Ticketworld.